eBay Simplifies Selling: Now Sellers Can Autofill Their product On eBay By Scanning Product barcodes. 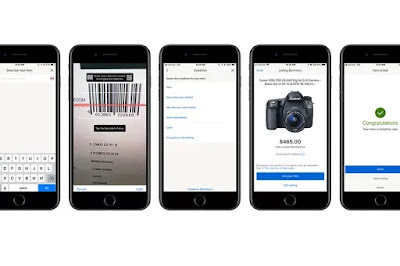 eBay is Recently updating its Android and iOS apps to streamline the listing process by letting sellers scan the barcode of an item, according to Engadget. While eBay has supported scanning barcodes for some time, it was aimed at buyers who wanted to comparison shop. According to the information on theverge,this new function is now targeted to sellers to help autofill some listing information when a product’s barcode is scanned. If you have the box for what you intend to sell, you’ll be able to scan the barcode and then mark the condition of the item. Once eBay recognizes the product, it should fill in a basic description, stock photos, and suggest a starting price based on historical data and predictive analysis. If you don’t have access to an item’s barcode, these same actions should be available by looking up and selecting a product by name. All of this autofilled information is editable, so you’re not stuck with what eBay suggests. Engadget says the feature is aimed at “new sellers” who might not be familiar with the intricacies of how the platform works. That language suggests that eBay is still hoping to widen its customer base in an e-commerce market that is increasingly being saturated by apps, voice assistants, and on-demand delivery, as well as location-based competitors like Craigslist, Facebook Marketplace, and Letgo. Although eBay’s new barcode scanning for sellers is certainly not a catch-all solution, it should prove useful and time-saving for people who have boxed items that are in decent condition.